How many people will suffer from global warming? Because of global warming floods become stronger. This is due to the impact of greenhouse gases, which emit transport and industrial enterprises into the atmosphere. Due to high temperatures, melting of glaciers accelerates and the level of the World Ocean grows. Also, warm air accumulates more water vapor, because of this, rains intensify. 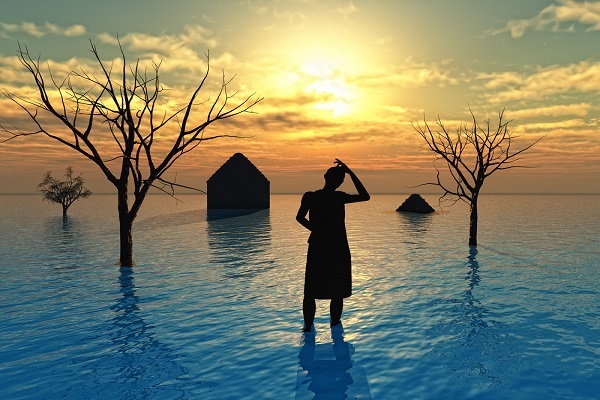 According to scientists, the threat of floods will persist, even if humanity manages to reduce emissions of greenhouse gases as much as possible, according to the journal Science Advances. German scientists combined several existing prognostic models. They used hydrological models that assess the nature of the water cycle under different conditions, as well as general circulation models. Also, the work evaluated the effectiveness of possible protective measures: the construction of dams, the transfer of coastal settlements and changes in construction norms. Researchers came to the conclusion: Asia will suffer most from the intensified river floods. By 2040, up to 156 million people in this part of the world can become victims of floods. For example, in Pakistan, this risk will almost double compared to the historical observation period, up to 11 million people may suffer in the future. At the same time, the danger of floods exists in Pakistan today: from the cataclysm of 2010, about 2 million citizens were affected. In South America, the number of victims will grow from 6 to 12 million people, in Africa from 25 to 34 million. Under the threat of increased risk of flooding on rivers, there will be 42 US states out of 50. In Europe, the countries surrounding the Baltic Sea can be hardest hit: Germany, Sweden and Poland. According to the forecast, in Germany the number of flood victims in the next 25 years may increase by almost 10 times. Commented one of the authors of the work, Anders Levermann: “Obviously, without limiting the warming caused by people to less than 2 °, the risk of river flooding in the 21st century will grow to a level where we can not adapt to cataclysms.” Scientists say that the results of their work – a kind of warning, for political leaders of the world.